We have a parade together. We have a noodle feast together. We (the teachers - we) decided that we should have a Chinese New Year project together. We figured we could make a dragon. 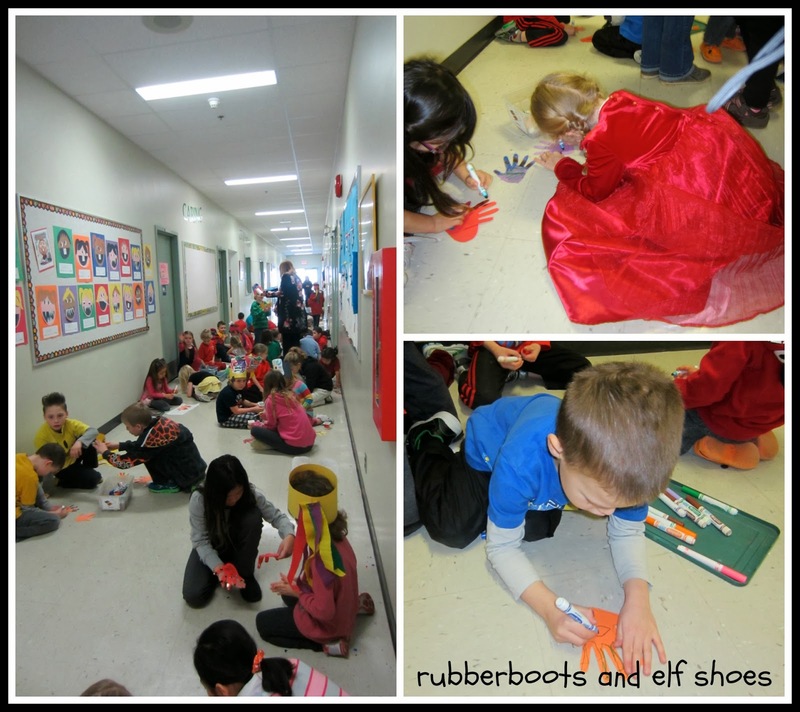 Three classes of kids took over the school hallway decorating and blinging (sparkles and sequins but no glitter) their handprints. 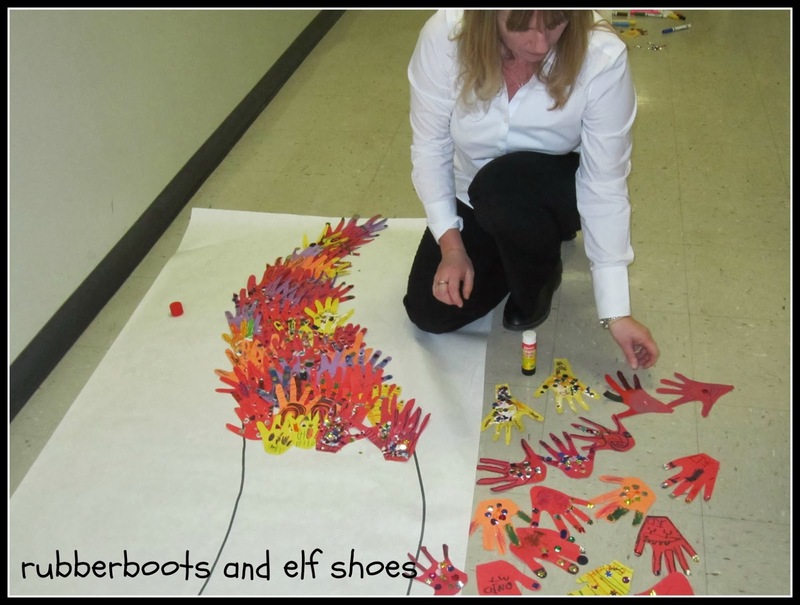 One of the teachers glued the handprints onto a dragon body shape. 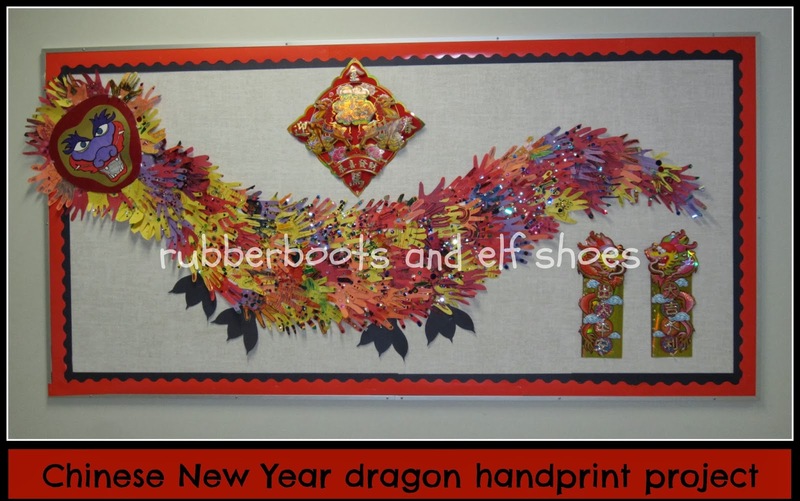 A dragon head and some Chinese New Year banners, and we think it looks pretty impressive. I am sure that our dragon is bringing much good luck to our school. Thanks. They were pretty impressed with how it turned out. This is incredible, Sandi! Pinned! Thanks. The kids really enjoyed making it. What a fabulous community project! i'll bet all the kids loved it. And big round of applause for that teacher who glued on all those hands! WooHoo!! Mega thanks to the wonderful teacher who glued on all the hands. So glad that she took on that job! !